Test Pressure Gauges are used for pressure gauge testing and calibration, and are suitable for all gaseous and liquid media that will not obstruct the pressure system or attack copper alloy parts. Accuracies range from 0.25% to 0.1% FS. Further, our Test Pressure Gauges have a nominal size of 160 mm, and offers an accuracy of ± 0.5%, ± 0.25% of FSD. 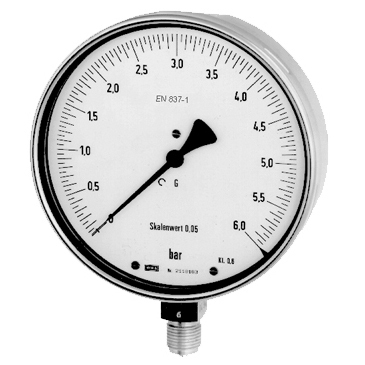 We offer Test Pressure Gauges at highly competitive prices.